Today the usage of shopping bag is high and easy to find at home. We will see how to reuse shopping bags. 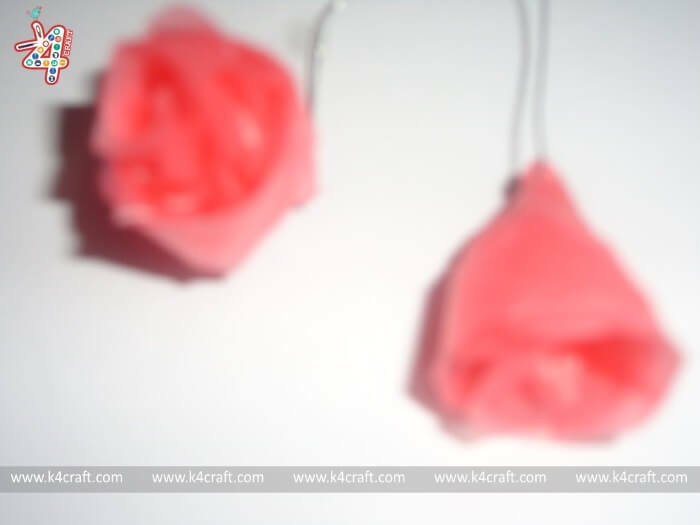 In this tutorial explain how to make roses using shopping bags and nice arrangement of vase. 1. 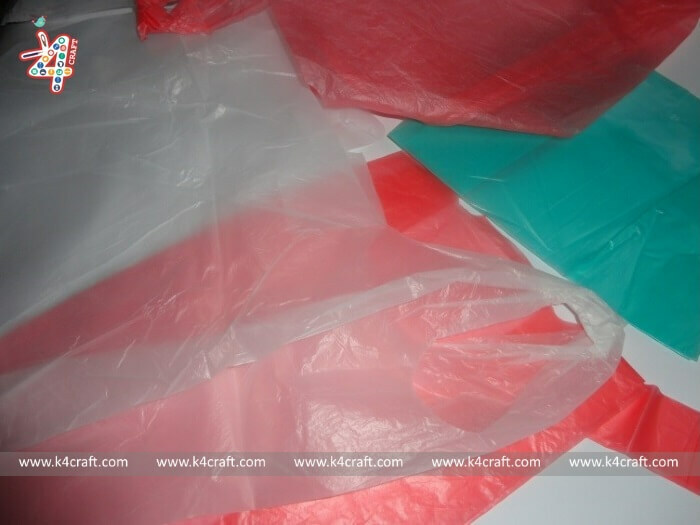 First take red, white and green colour shopping bags. 2. 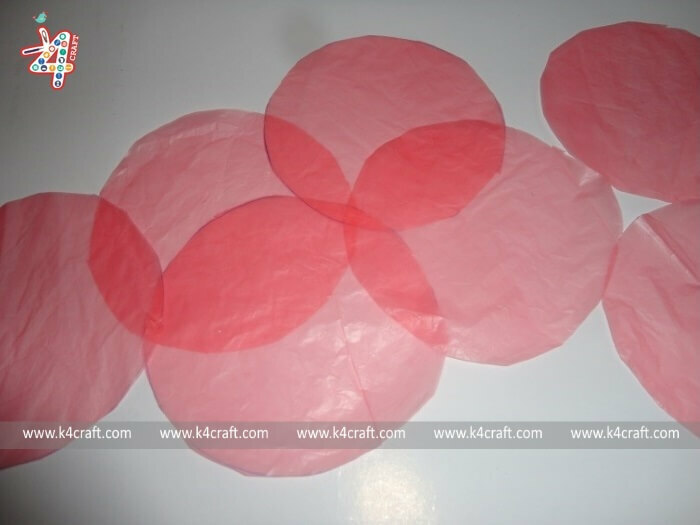 Cut circles from the red and white shopping bags. 3. 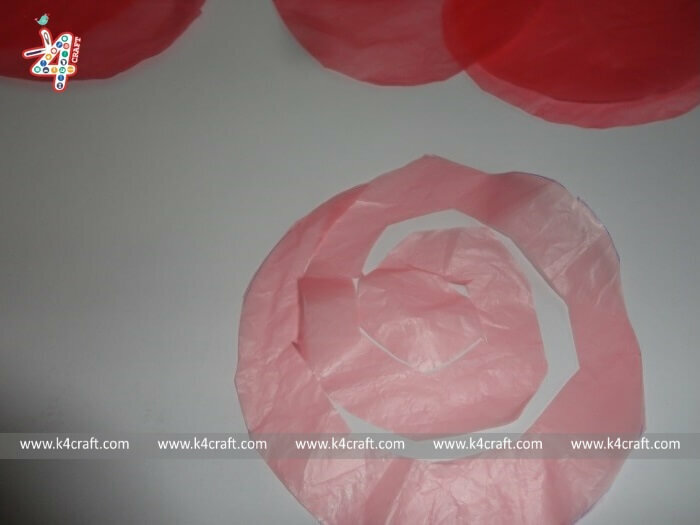 Then cut the spiral shape as given below. 4. 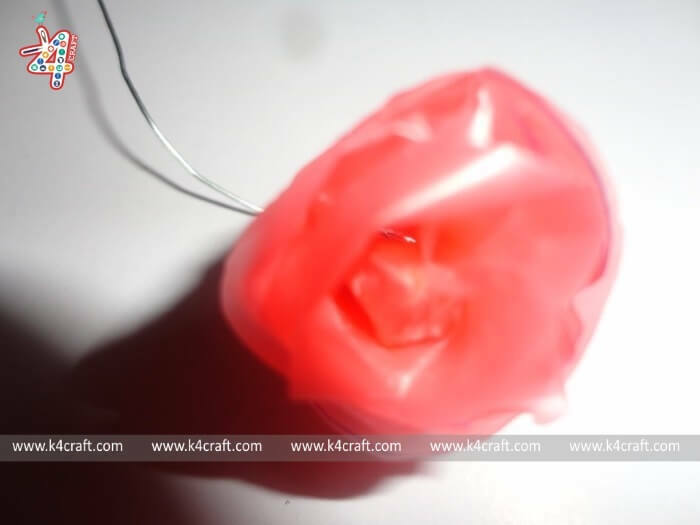 Wrap it to get the shape of rose. Use UHU glue to paste it. Then use something flexible like wire to make the stem. 5. 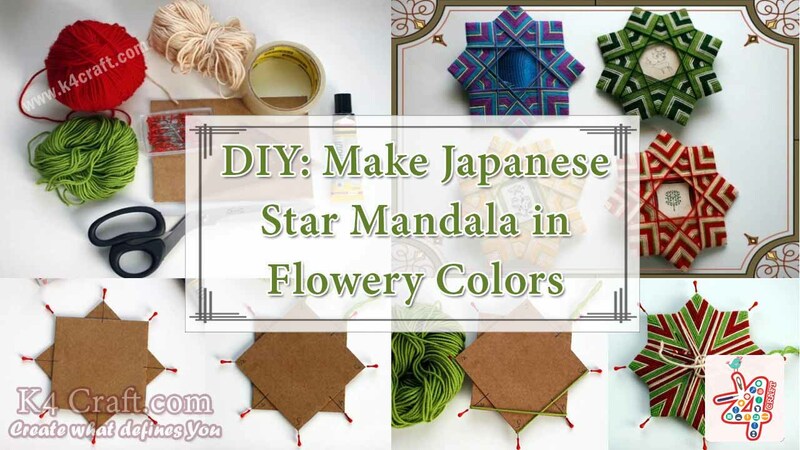 Make red and white flowers like this. 6. 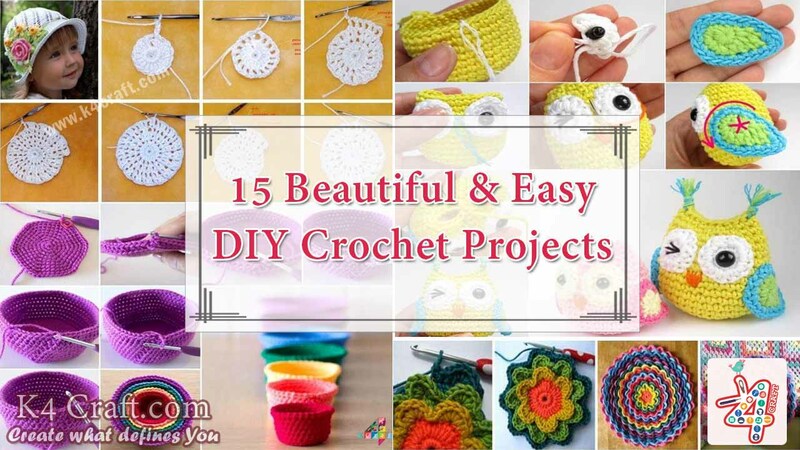 Cover the wire using green colour shopping bags. 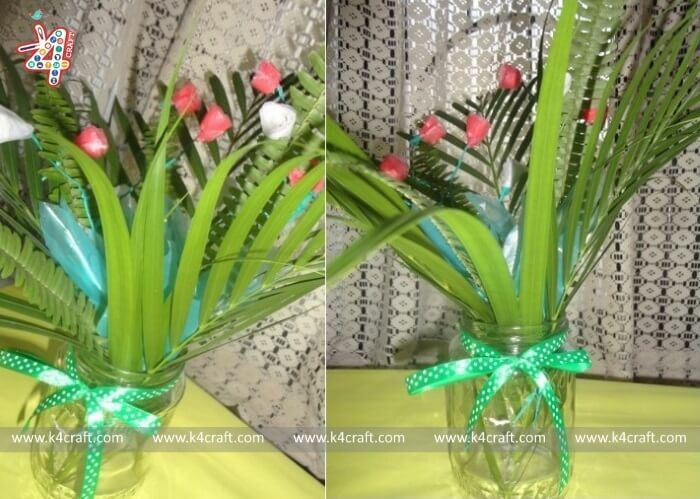 Take a jam bottle and decorate it using natural leaves and shopping bag red and white roses. For the mid add some green colour shopping bag leaves too. 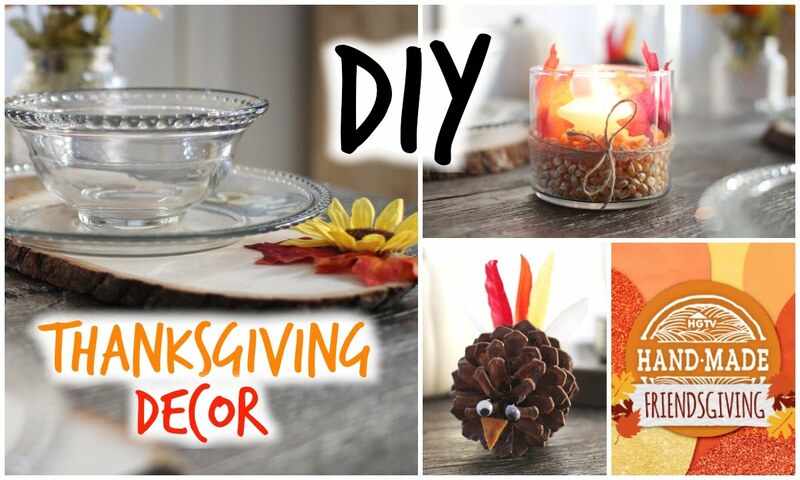 Put a ribbon and make this decoration for the table.